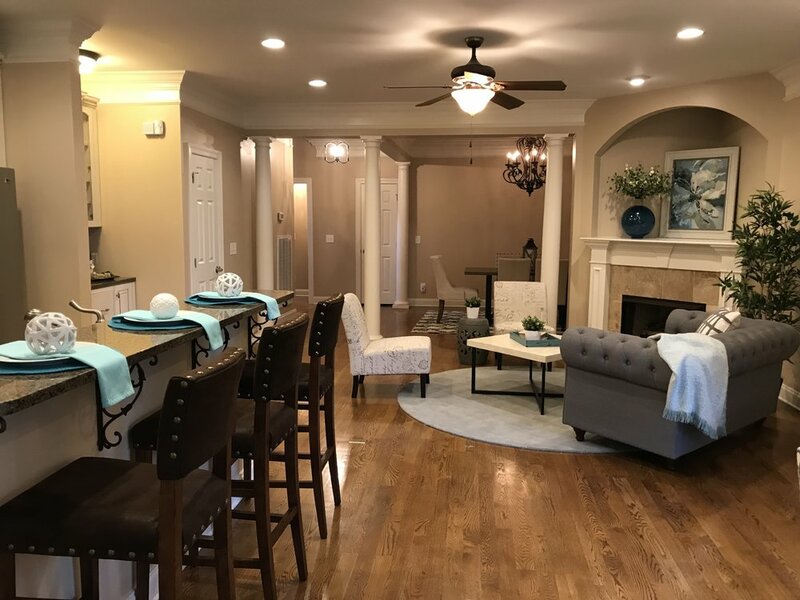 During a staging consultation this year, I walked into a client’s home and in the very first room on the left were six bookshelves and an old table. That was it. How in the world was a potential buyer supposed to know how to use this room? During the consultation, I suggested moving a couple of chairs from another room, using the table as a desk and creating it into an office space. Voilà: a room with a purpose! Two days after my staging consultation, the house sold—and for $6,000 over asking price. When you think of a home stager, you might assume that we are the home-selling version of a fairy godmother, here to turn your pumpkin property into a sparkling chariot fit for a ball. But making your home pretty? Not our primary purpose. The first focus of a home staging is to stage your home in a way that sets you up for stunning photos—a.k.a. your #1 marketing asset for selling your property. A potential buyer almost always views your property’s listing online before committing to a home tour, so you want to dazzle them with your photos and allow them to begin building a “this is our dream home” vision in their head. Staging sets you up for swoon-worthy photos—your #1 marketing tool. But first, you need to show a buyer how to live in each space. All writers know the rule: show, don’t tell. The same is true for home staging: show the potential buyer the purpose of each room by bringing in furniture and accessories to define the room. Remember the room with bookshelves and an old table? It was a room without a purpose: a big no-no. But with a few tweaks, we were able to give the room a function! Read on for some tips for how to bring purpose to the rooms in your home! When a buyer views an empty room online, they have no idea what that room this is. For instance, in a kitchen, you immediately know how to define that spaces thanks to the cabinets, appliances, and countertops. But how is a potential buyer supposed to know a dining room from a bedroom if the photos are simply of empty rooms with four walls? 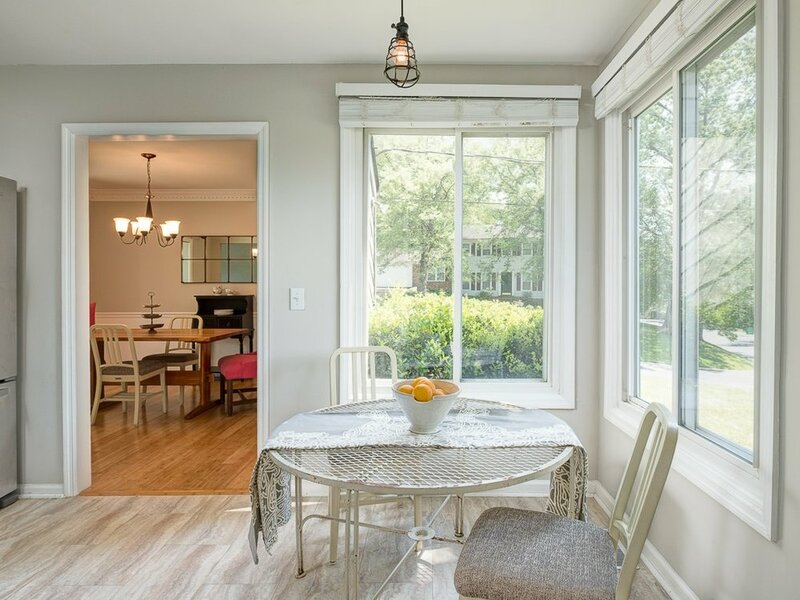 By bringing in a table and chairs for the staging photos, you define the space and allow the buyer to begin customizing your property in their minds. Often, too, an empty room will look smaller online; by bringing in furniture, you’re able to offer depth perception in your property photos. Before Staging // How is a potential buyer supposed to know the purpose of this room? After Staging // NOW a buyer knows this is the master suite! Furniture placement is key. When placed correctly, furniture and accessories can showcase the standout architectural features of your home, like a beautiful fireplace, great view, or to-die-for built-in shelves. The goal of staging is to draw the eye to these home features. Remember: that’s what the potential buyer is purchasing—not the sofa and the TV, but the property features that make your home stand out. Every room should have a focal point. Some focal points in a room may be built-in, like a fireplace in a living room. For some rooms, you may have to create the focal point yourself through furniture. For instance, the focal point of a bedroom is most often times the bed. We know that the buyer isn’t purchasing the bed itself, but by including these important furniture pieces, we are defining the room and the size of the room. But staging a property with furniture doesn’t mean going nuts with it. Less is still always more when it comes to staging. You want buyers to be able to touch the focal points of a room, like the fireplace mantel, without having to compete in an Ironman of furniture obstacles to reach it. A final note: Is your spare bedroom being used as basically a room-sized junk drawer? Now is the time to return it back to its original purpose through proper furniture pieces that define the room! By bringing each room back to its original purpose, you’re able to share stunning staged photos of your property online to draw in potential buyers! Staging Before // We needed to edit this space to bring the room back to its original purpose! How can you enjoy your morning coffee here? Staging After // MUCH BETTER—a potential buyer can now imagine themselves enjoying their morning coffee in this space!